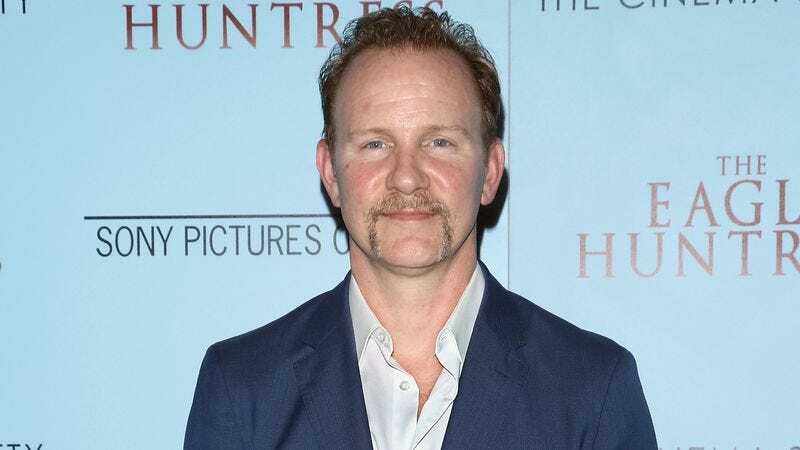 Morgan Spurlock became famous thanks to the documentary Super Size Me, which chronicled his journey to become the world’s biggest fast-food fan by eating nothing but McDonald’s for an entire month. (That’s what it was about, right?) Now, he’s finally leveraging that success into something more lucrative than a career as a filmmaker, with IndieWire reporting that he’ll be launching his very own fast-food restaurant this weekend. Called Holy Chicken!, the restaurant is billed as a “chicken experience” and it will open at a yet-unannounced secret location somewhere near Columbus, Ohio on November 19. That being said, it also feels like there might be something weird going on here. Spurlock is no M. Night Shyamalan, but we wouldn’t put it past him to pull some kind of documentarian twist here. For starters, the slogan for Holy Chicken! is apparently “Too Good To be True,” which is exactly the sort of slogan you’d give a fake chicken restaurant that is secretly a front for some kind of exposé on the cruelties of chicken farming or whatever. And then we have this photo of Spurlock holding that same chicken sandwich from above. Like, it’s literally the same sandwich photoshopped into his hand. Super weird. Now, we’re not saying this is definitely an elaborate scheme and that anyone who goes to Holy Chicken! on Saturday will actually be involved in guerrilla marketing for some chicken movie, but try to act surprised if your humanely prepared sandwich is paired with a shocking lecture about the ways that other restaurants mistreat their chickens.